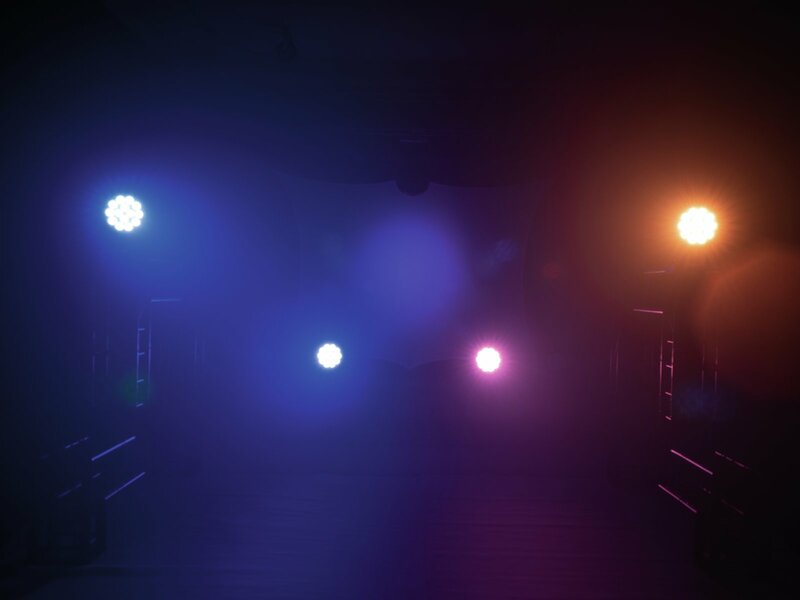 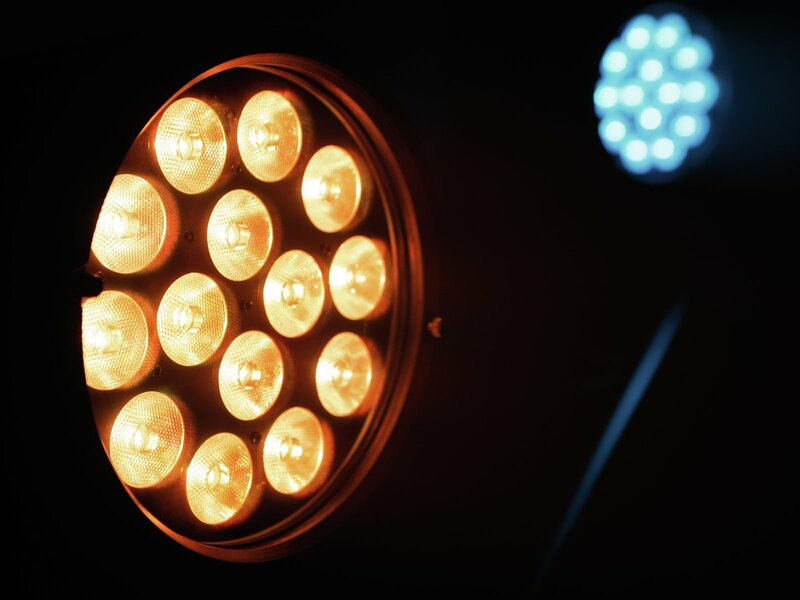 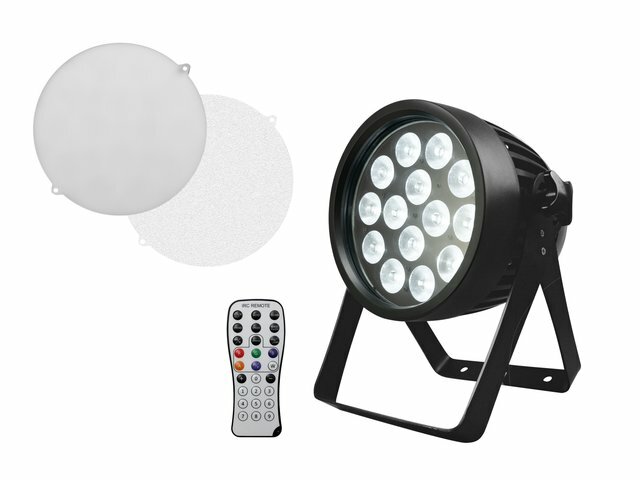 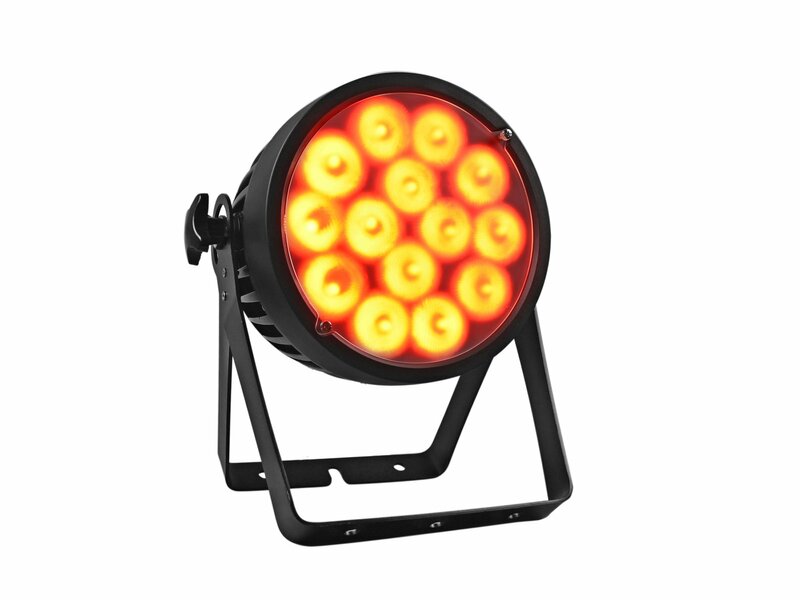 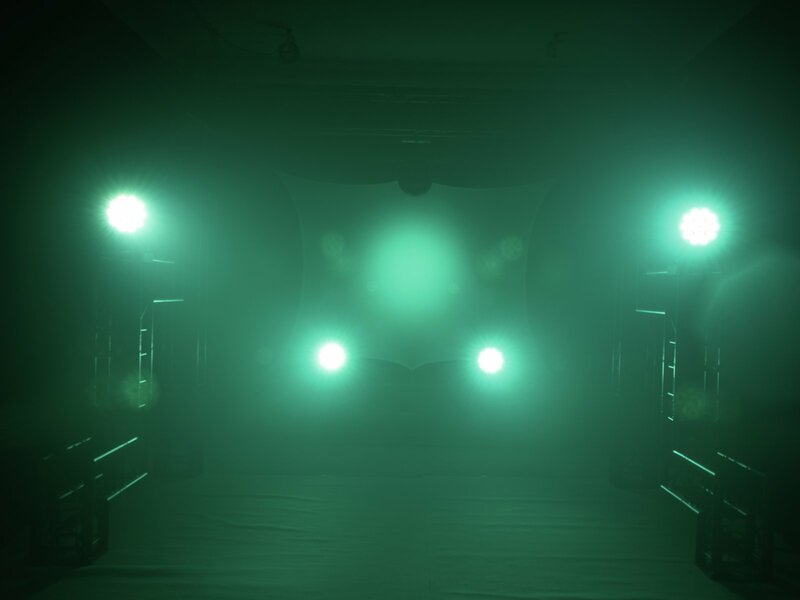 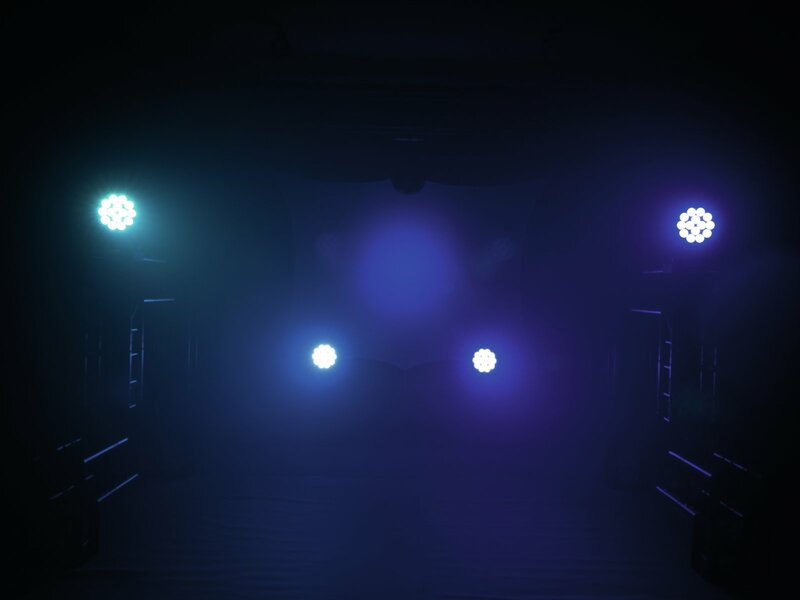 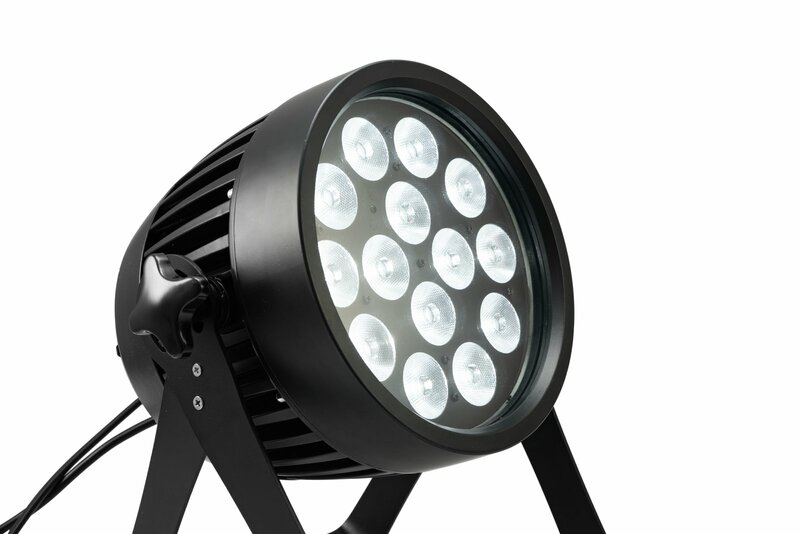 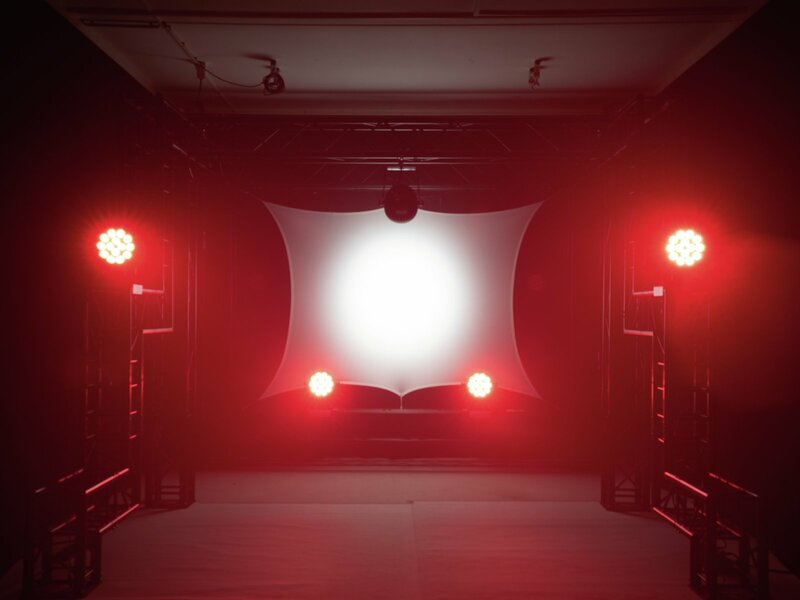 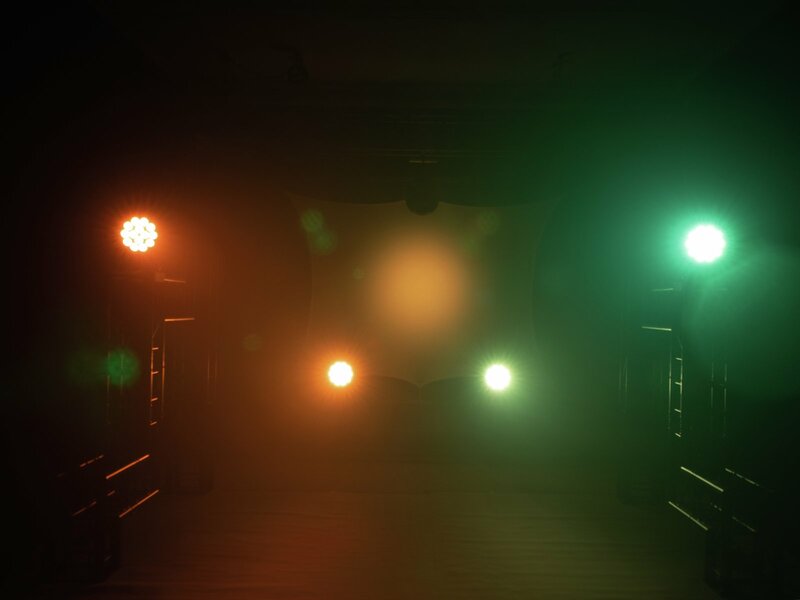 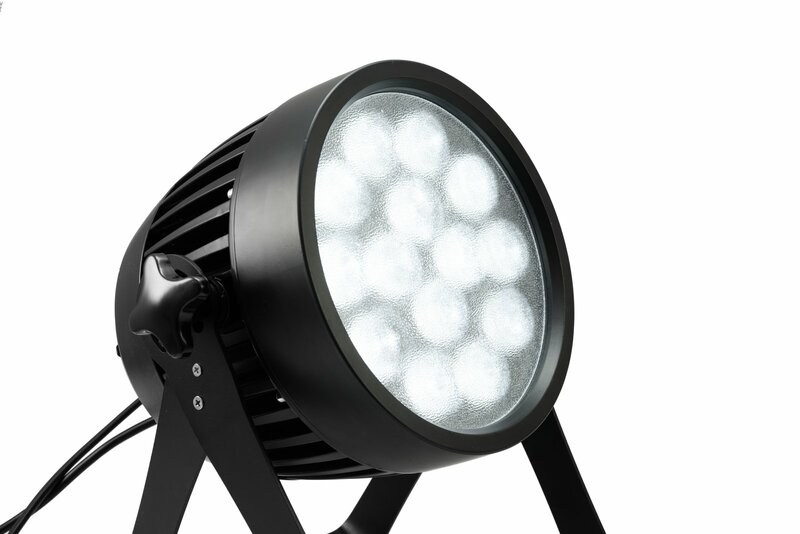 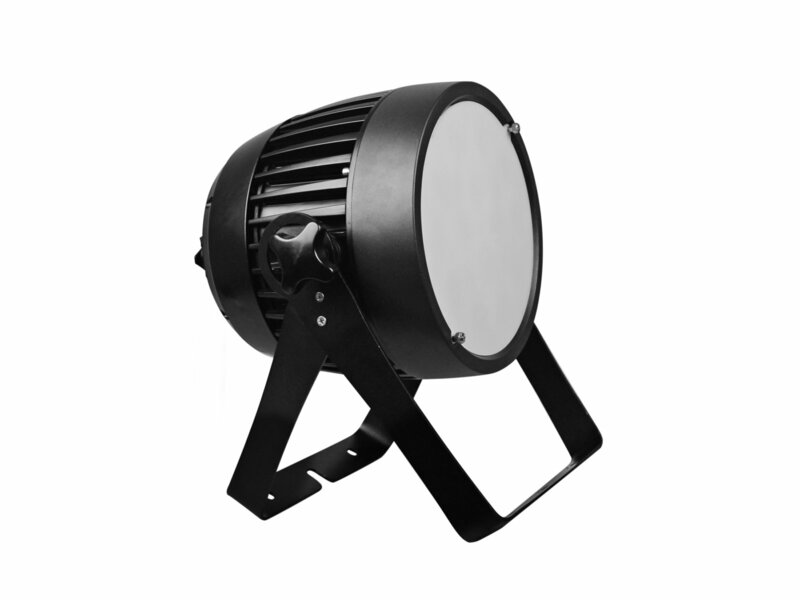 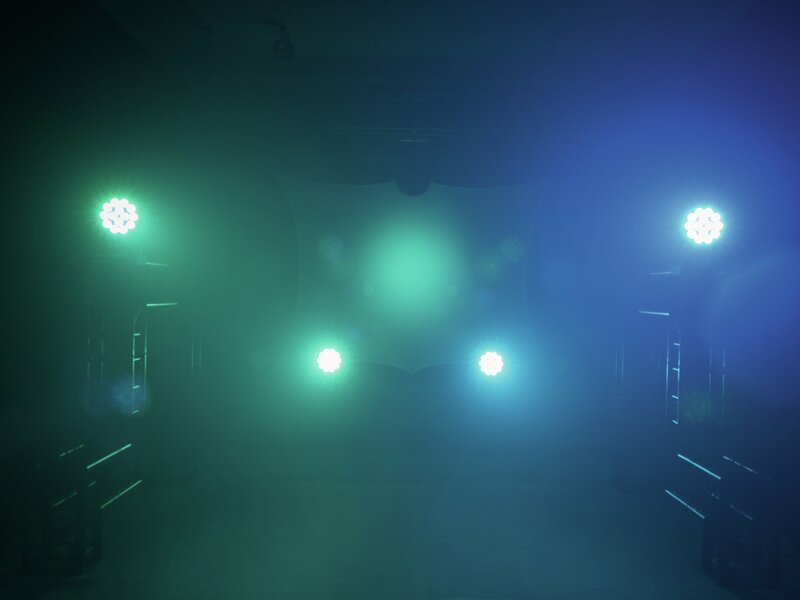 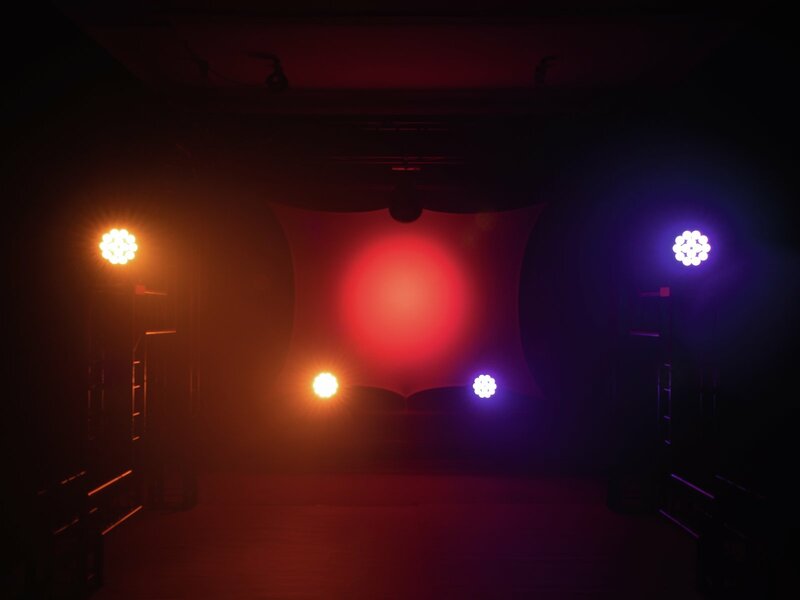 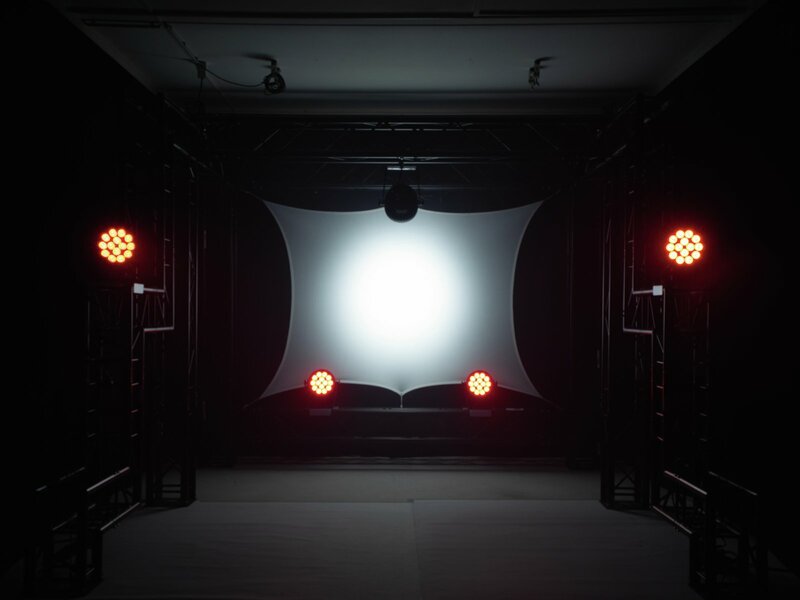 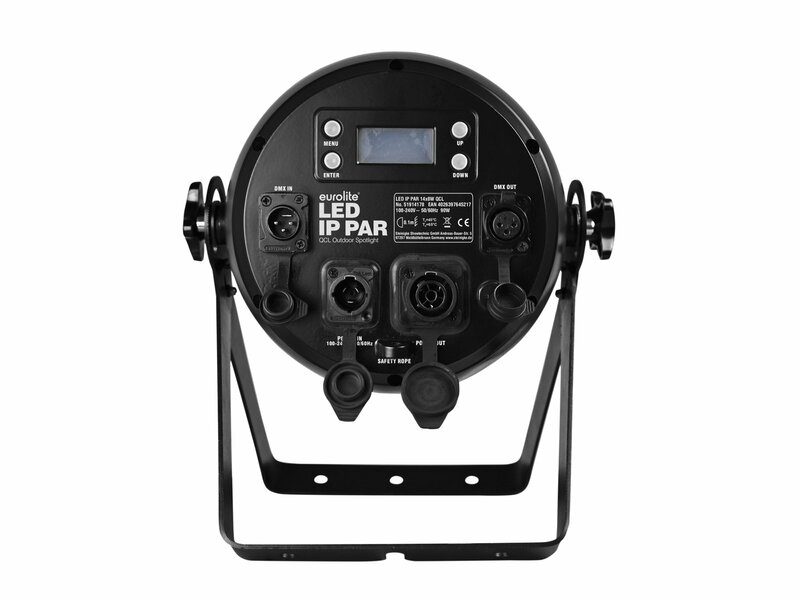 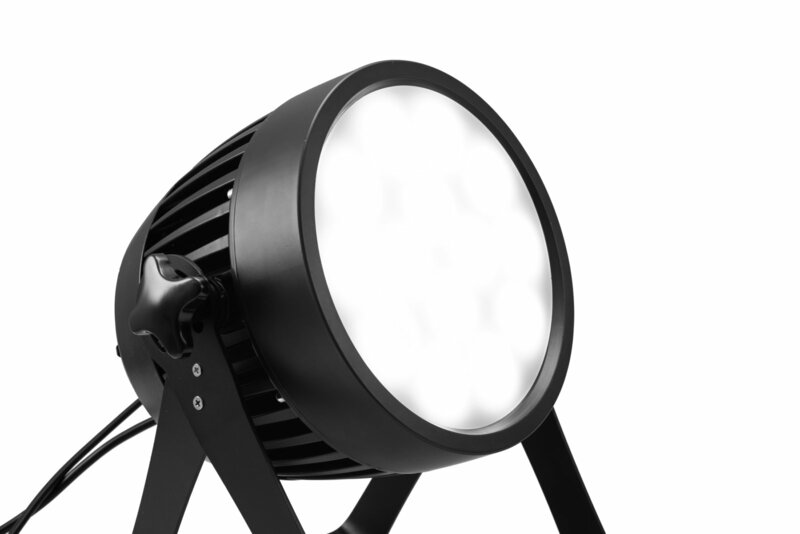 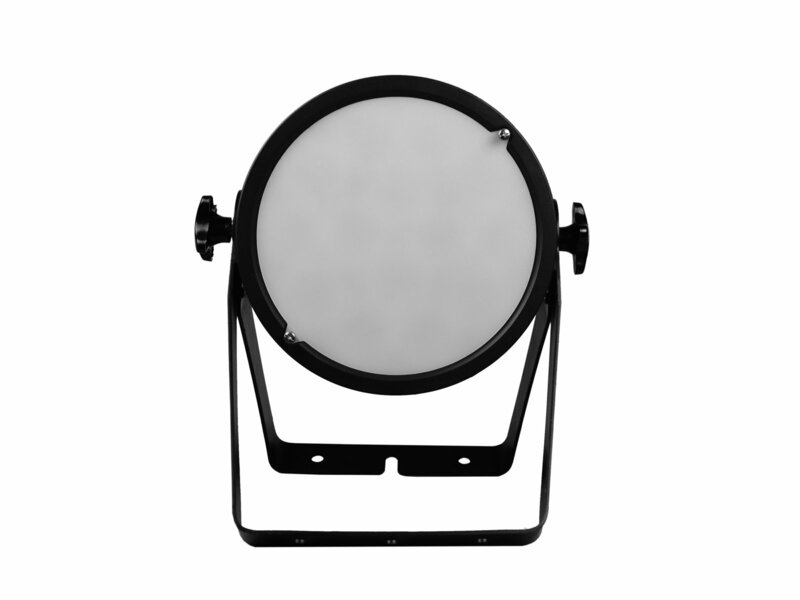 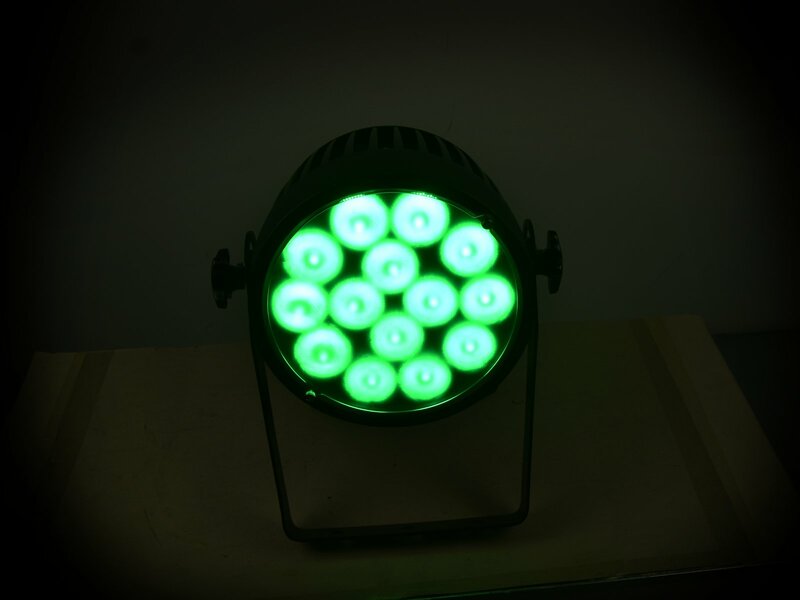 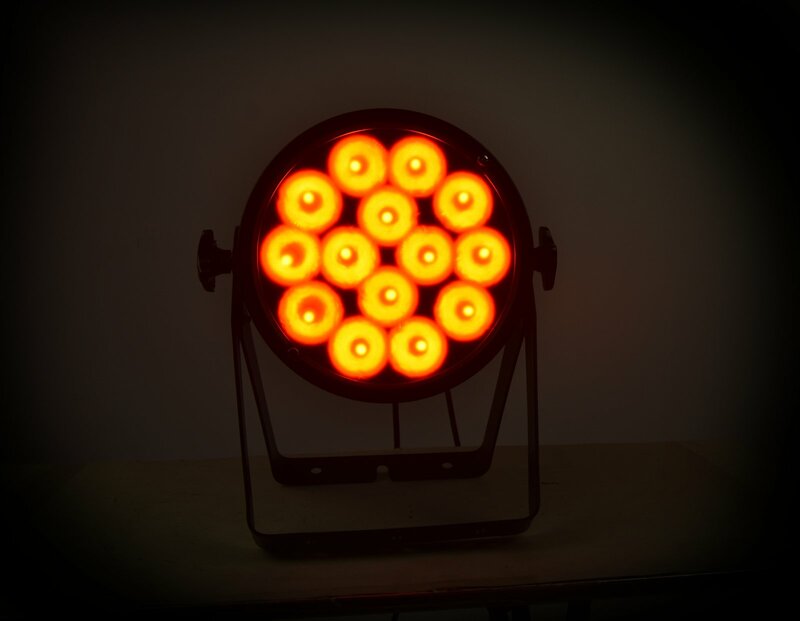 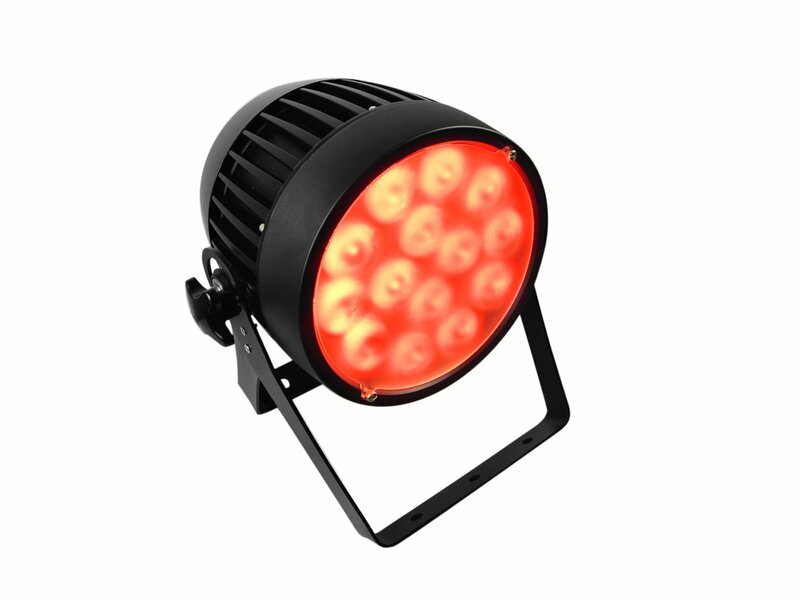 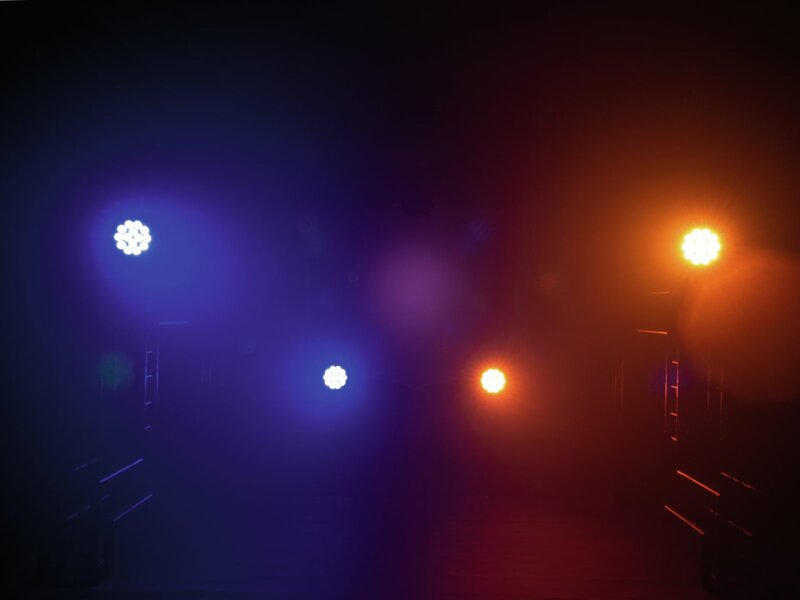 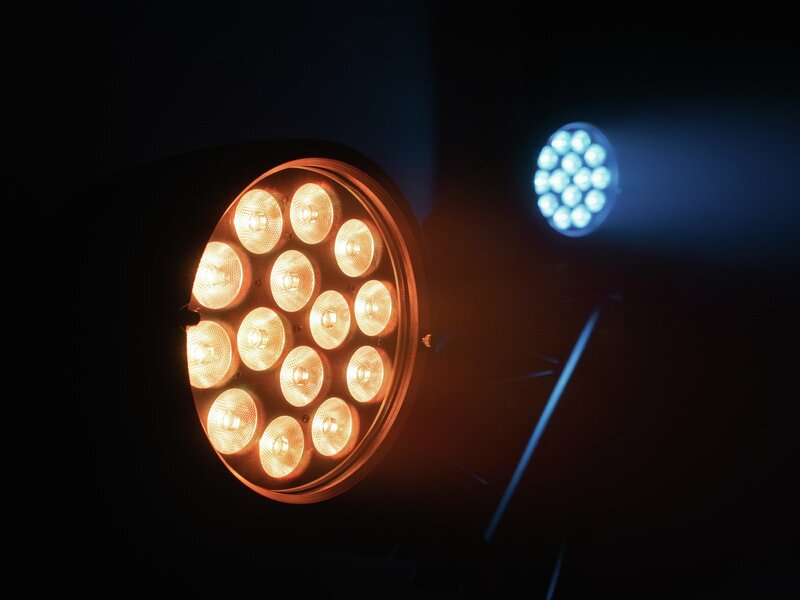 You can easily use this spotlight for a wide variety of purposes: Whether as basic light on festival stages, architectural light or as decorative light for outdoor events. 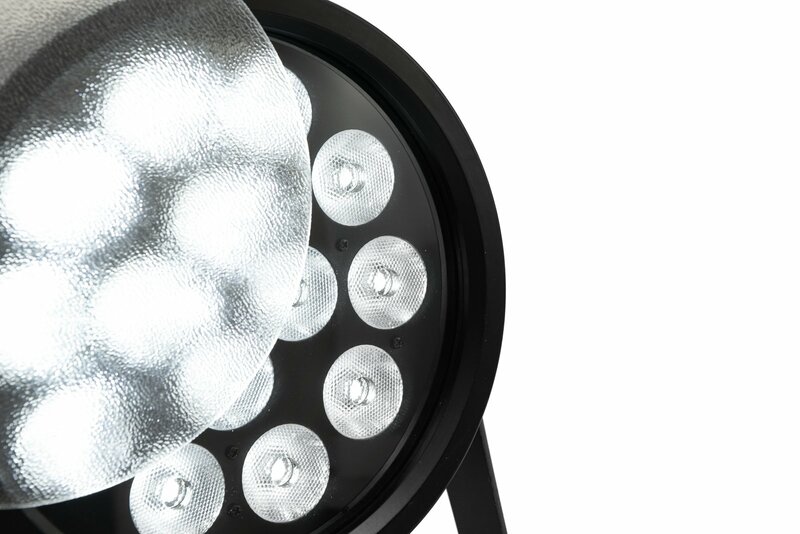 Thanks to its IP65 protection, the spotlight won't let you down in the rain. 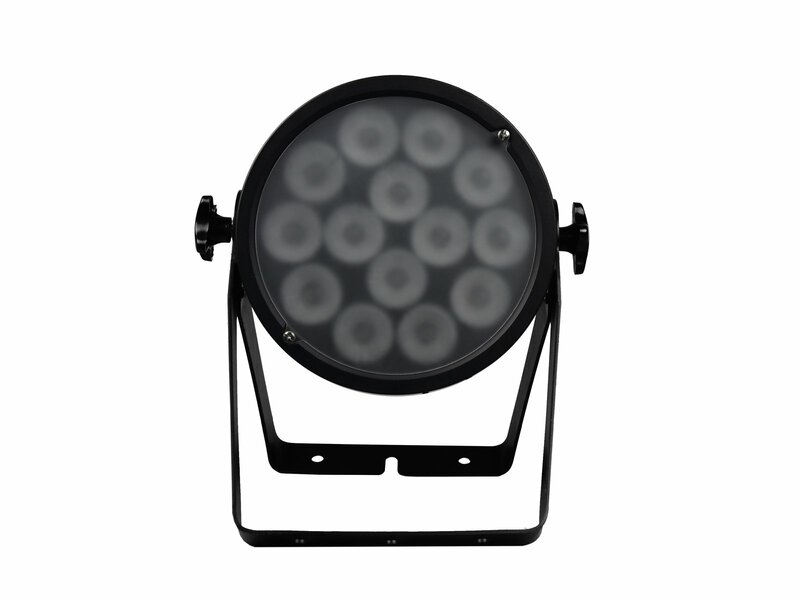 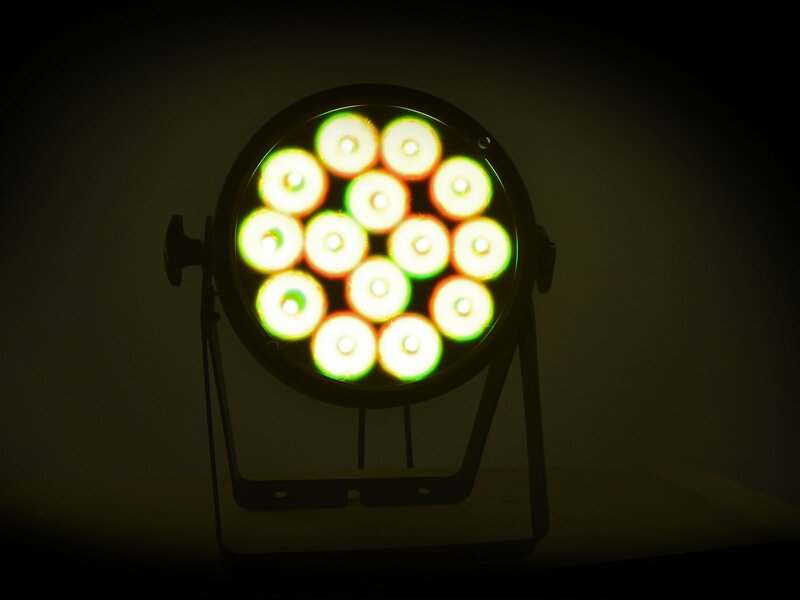 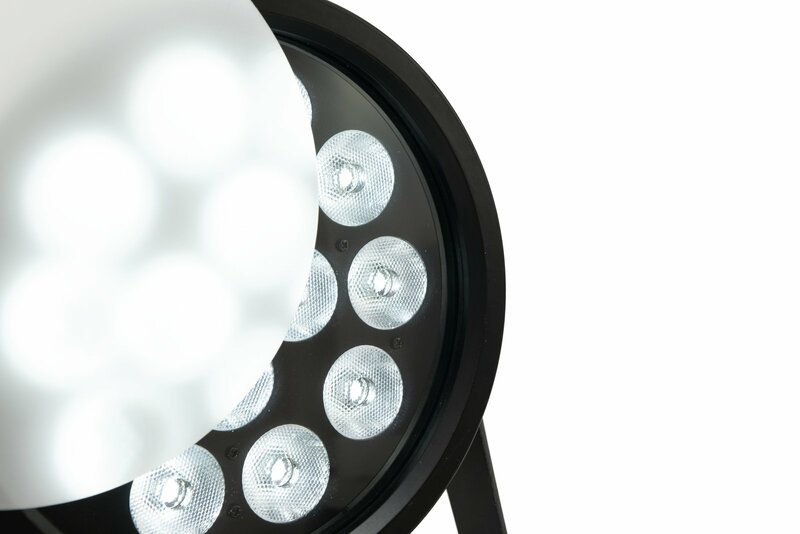 14 powerful 8W RGBW LEDs provide homogeneous color mixing. With the aid of the included diffuser discs, the beam angle of the spot can be changed from approx. 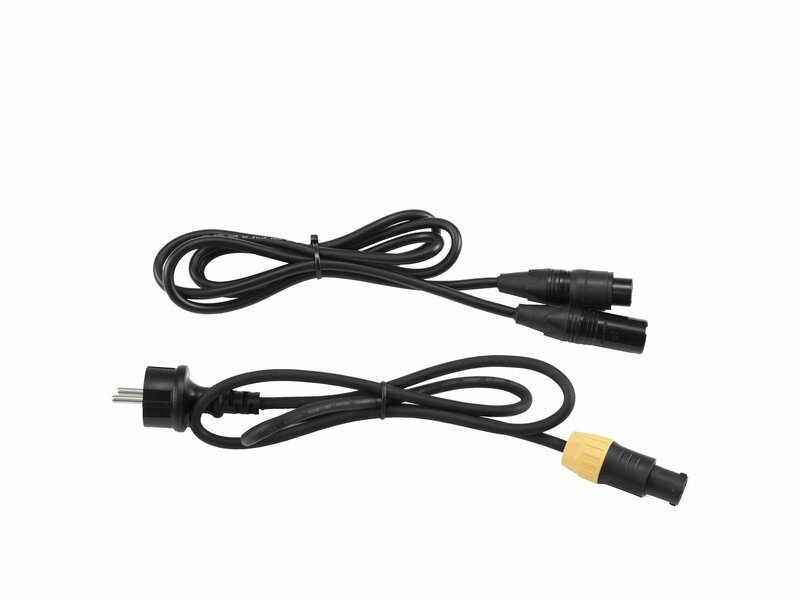 28° to approx. 60°. 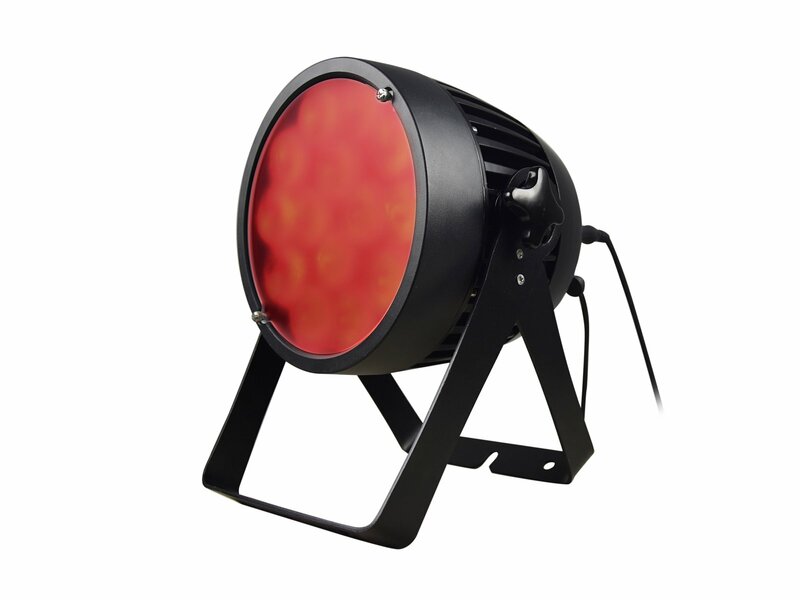 The spot also cuts a fine figure in noise-sensitive environments: thanks to its cooling fins, the device runs fanlessly and thus quietly. 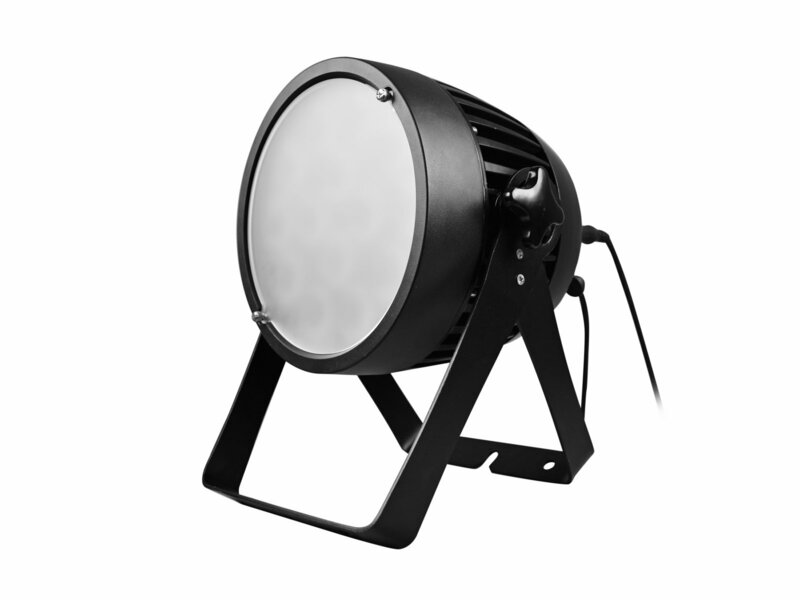 Nothing stands in the way of its use in open-air theatres.